HEY GUYS! I'M CLAUDIO, AN ELECTRICAL ENGINEER AND A CROSSFIT LEVEL 2 TRAINER! IF YOU ARE IN CATANIA, COME AND VISIT ME TO MY CROSSFIT STUDIO FOR A VERY SPECIAL TRAINING SESSION! BOOK ONE OR MORE LESSONS AND HELP US TO BUILD UP OUR OFFICIAL LOCAL BOX! ME AND MY FRIENDS ARE WAITING FOR YOU ! IF YOU WANT TO JOIN US AND SHARE SOME TIME IT WOULD BE AWESOME!! 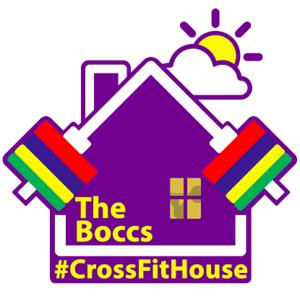 TheBoccs-MUSCLE YOUR HOLIDAYS!